I recently made my way down to the Miami Book Fair International, down in Miami, Florida, and had a good time. It was my first time going, even though I’ve been in South Florida for almost four years now. I’ve always missed it because I would get the weekend mixed up! I would think it was on one weekend and it was actually the following weekend. So, I made it my mission to get down there this year, and I did. I went down there with my nephew, Branden, and we had a good time listening to music and driving in Miami traffic (sarcasm). My purpose of going down there was to take notes for when J Marie Booklets is a vendor. 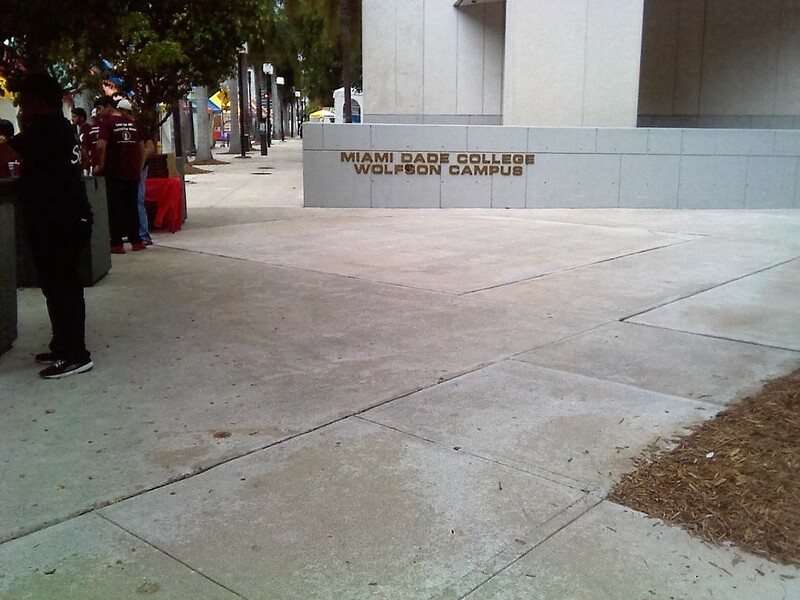 Located on the campus of Miami Dade College, security was high, which it should be considering the world that we live in today, but the police were friendly. It was nice to see the food trucks representing, as well as the other food vendors. The food was good. 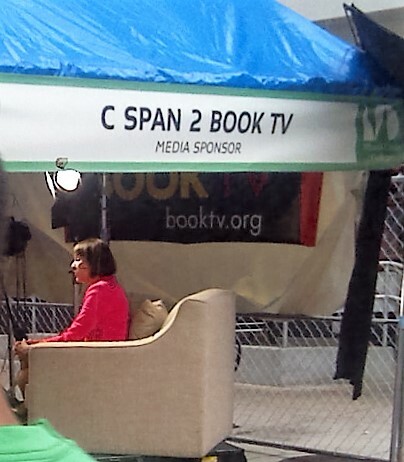 It was nice to see C-Span there reporting live. 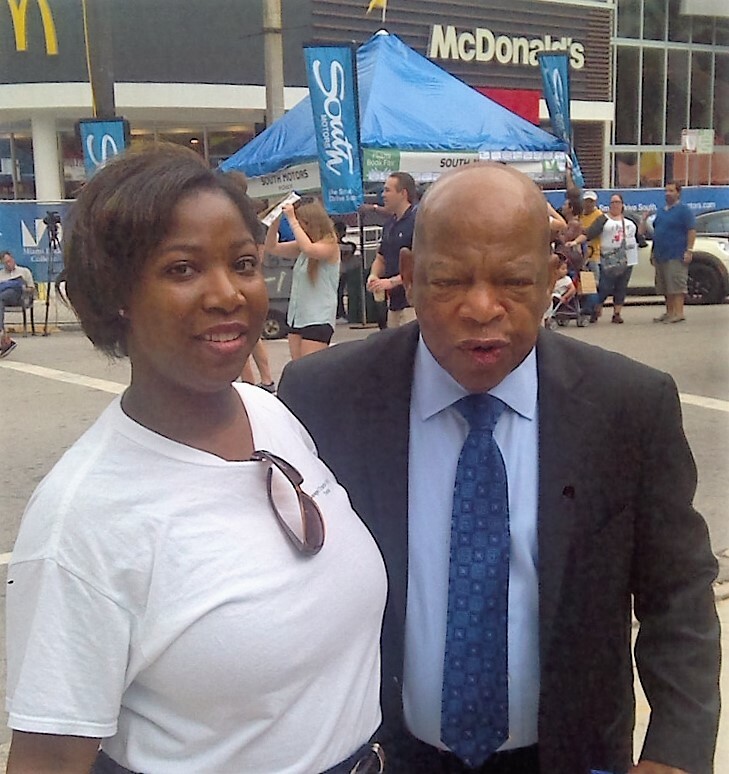 I even got a chance to take a picture with Rep. John Lewis of Georgia, who was on C-Span earlier. I made my nephew Google him so that he could learn who he was and what he has done. 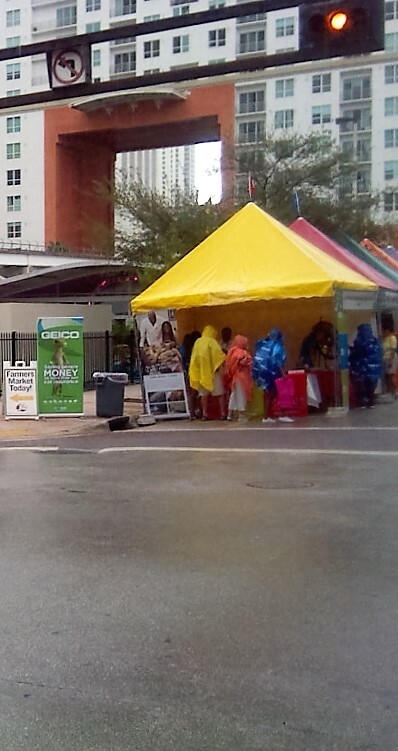 It did begin to rain, but that didn’t dampen the spirits of the book lovers. 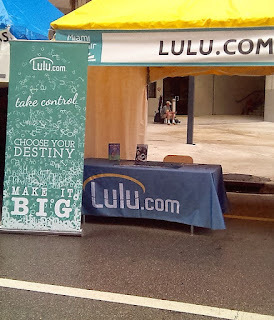 Lulu, the self-publishing giant, had a booth there also. 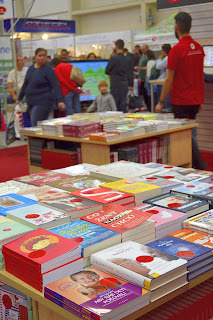 It was just so lovely to see the booksellers and book lovers all in one place. 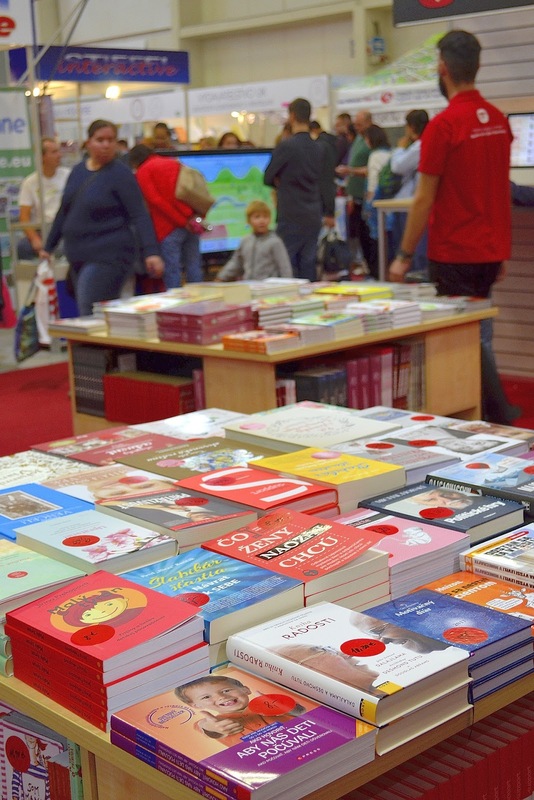 I can’t wait until I have a booth there.